Good news – Ricky Romero went 8 strong innings versus the twins. Bad news – Aaron Hill bobbled a DP ball in the 4th, and it cost Romero. Good news – Kevin Millar kept the Jays in the game with a huge catch. Bad news – Millar couldn’t get the ball past Delmon Young in LF. Good news – Vernon Wells actually came through with a clutch hit. Bad news – Vernon Wells did not gauge the depth of that last hit very well. 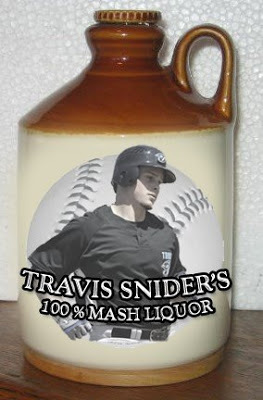 Good news – Travis Snider is hitting .316. Bad news – Sitting on the bench, Travis Snider still hitting .316. Good news – Jesse Carlson busted himself out of another jam in the 10th. Bad news – Cito kept him in the game for the 11th. Good news – Brian Tallet will get his first start on Saturday vs. the Athletics. 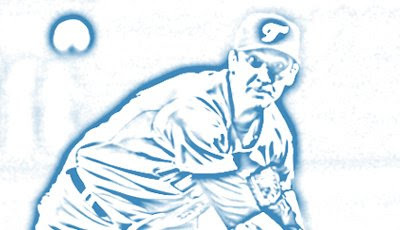 Bad news – It’s because Jesse Litsch has been moved to the DL. Good news – The Blue Jays are still 6-3. Bad news – The Twins are now 4-5. I think the knocks on Vernon for that last ball are completely and totally ridiculous. That ball hit the wall. He’s not getting to that ball. Period. Either is Rios. I can’t remember which site I read it on (maybe the Score Live Blog, but somebody made the arguement that V-Dub should have been playing further back with 2 outs. If the ball dropped in front of him, then he has a chance to gun down Morneau at the plate – but if he plays it too shallow, then he either has to make the play off the wall or hope for a really really lucky bounce.